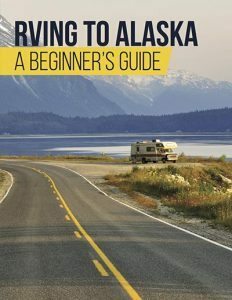 On any given summer day you can see dozens of RVs trailing down the highway. These creatures of comfort have an amazing history that few people are familiar with. 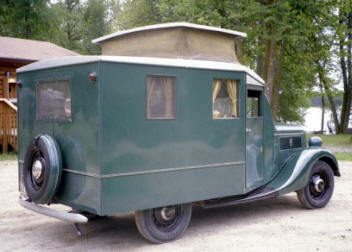 Let’s step back in time and take a look at the 105 year history of the modern RV. From the very early days of motorized travel, Americans have longed to bring their home on the road. Long before the RV was invented, the rich traveled by private, customized rail cars. Unfortunately, you could only travel where the tracks would take you. The invention of the automobile opened up a whole new world of travel to the average citizen — and those citizens wanted to bring along the whole house! 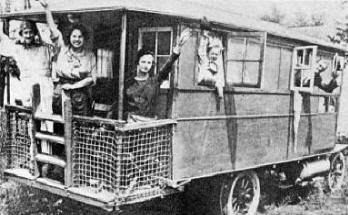 Here is a picture of one of the first family motorhome vacations. This photo was taken in 1909 and printed in the newly formed, Motor Magazine. 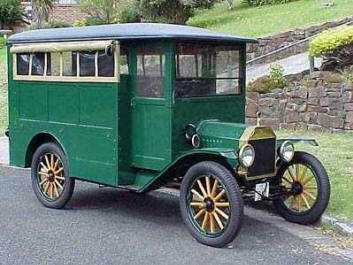 In 1915 the Lamsteed Kampkar was created by Anheuser-Busch. Mounted on a Model T Ford, it sold for $535. Think the Tiny House is a new concept? Think again! 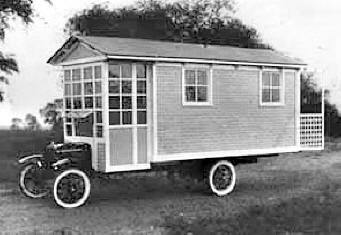 This 1920 cottage on wheels offered its owners a sunroom and a back porch. It was self built on a Model TT Ford truck that had a heavier frame and a rear axle with a one ton capacity. The chassis could be bought as a stand alone from 1918-1927, and as you can see the owners had a tendency to get creative! By the 1930s, the house car was all the rage. People were experimenting with putting their homes on wheels. This 1937 Ford House Car was actually built at the Ford Plant in Minnesota. Very few of these were made, and even fewer survive today. The rig featured a wood body and steel clad siding. It was very advanced for its day. During WWII, all RV production stopped. Steel and rubber was needed for planes, and workers were assigned to more important manufacturing jobs. When the G.I.s returned many had a strong case of wanderlust. They had seen the world and they wanted to travel. 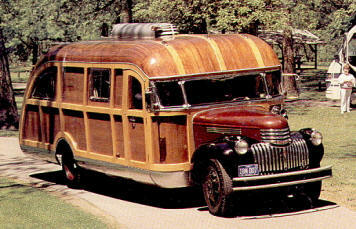 This is a 1946 Chevrolet Motorhomse built over a number of years following World War I. 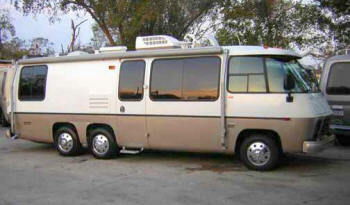 It was featured in a 1989 issue of Motorhome Magazine as a one of a kind coach. The 1950s brought enthusiasm to the RV market. The Flxible Company known for building city buses decided to try something new. They are credited with building the first luxury bus home which they called a “Land Cruiser.” In later years Flxbile sold to Custom Coach Corporation which is still leading the way in bus conversions. This is a 1957 Flxbile Starliner which has been fully restored. 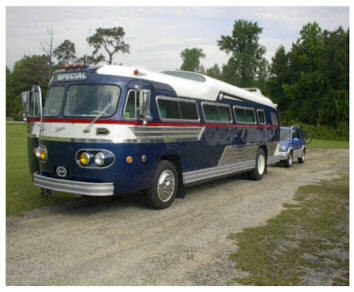 The first house car to be called a motorhome was on a Dodge truck chassis in 1953. Ray Frank built four of these first units and then raised capital to start “Frank’s Motor Homes.” In the early 1960s Frank connected with Chrysler to market his motorhomes under the brand name of Dodge. The Class A was officially here to stay. The Dodge Travco was king of the industry for two decades creating 21 to 27 foot homes on wheels. 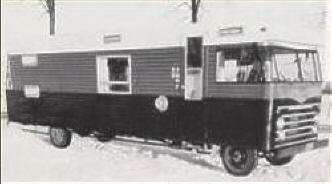 This is a picture of one of the first Dodge motor homes in 1961 or 1962. By 1967 the industry was booming. It was then that L.K. Newell decided there was a market for a higher end motorhome with custom features. This is a picture of the 1968 Newell Coach. It was built on a Ford chassis with a gas engine. In 1970 Newell forever changed the market when he introduced the first diesel pusher. This rear-engine concept was built on Newell’s own chassis that they built from the ground up. Diesel pushers could move more weight and provide a smoother ride. Newell was years ahead of the market. No Motorhome history would be complete without an ode to the Volkswagen Camper Van. 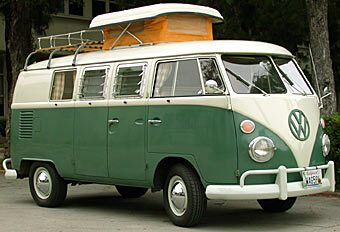 Created in 1968, this camper was built from a VW bus. The pop up tent top allowed campers to eat, sleep and travel in miniature comfort. Who knew these things would become SO SO popular! Between 1973 and 1978, GMC sold an amazingly futuristic coach. They were very popular and you are still likely to see them on the road today. This rig was a front wheel drive and one of the first air bag suspensions. It was built with an beautifully sleek, fiberglass shell. 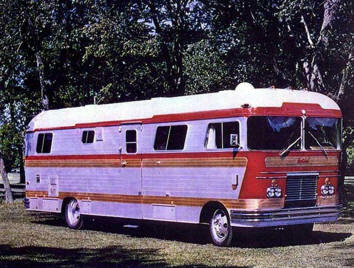 At 26 feet long the GMC Motorhome was powered by the V8 engine of a Oldsmobile Toronado. A few even featured upgrades like cruise control and air conditioning. By the 1980s Winnebago was king. It had built over 100,000 units and was the largest RV manufacturer. In 1984 their sales totaled $411 million dollars. 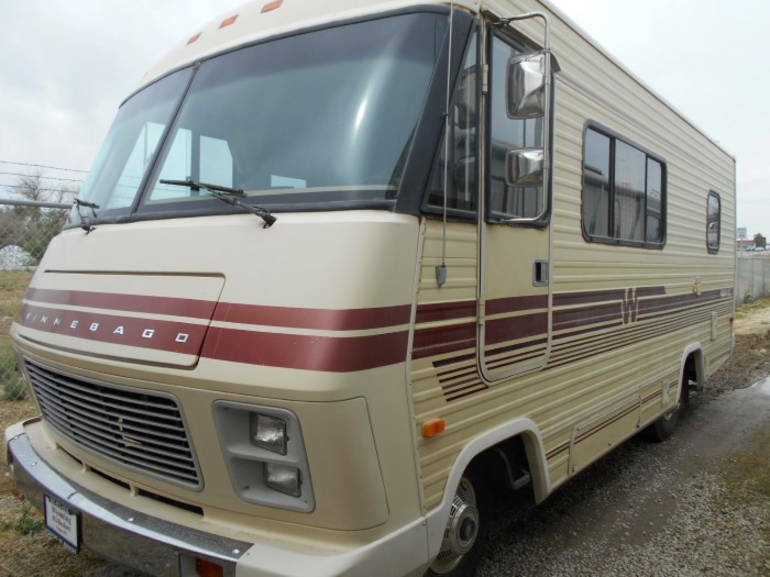 This 1985 Winnebago Cheiftan is a 23-foot, gas powered Class A, and is a prime example of the 80’s Winne. Offerin, bunk beds in the back and over the cab, it was the perfect rig for the family vacation. 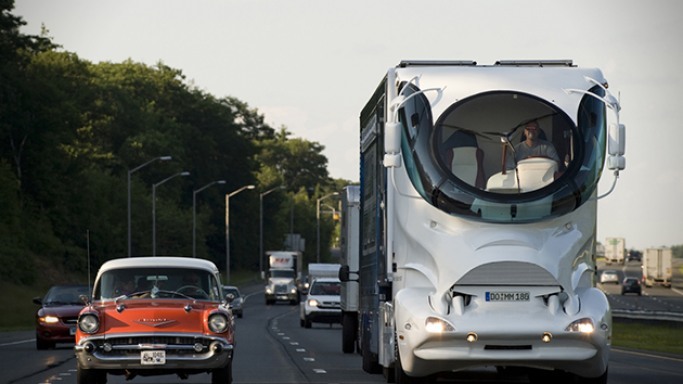 The last 35 years of motorhome history are filled with ups and downs and amazing innovations. The average motorhome in 2015 costs $150,000 new. Upscale units start at $250,000, and luxury motorhomes start at 1 million. The RV market has come a long, long way. This 2015 eleMMent Palazzo costs $3 Million and is a rolling mansion. It offers a retractable rooftop deck and a 510bhp diesel engine. The Class A: A motorhome that is completely integrated. The living and the driving sections are merged. The Class B: The smallest motorhome usually built in a customized van interior. The Class C: The front of this motorhome looks like a truck or van. The back of the vehicle serves as the living area. Prices vary and there is a very strong used market for all three classes. While the RV industry took a hard hit during the great recession of 2008, it has since rebounded stronger than ever. 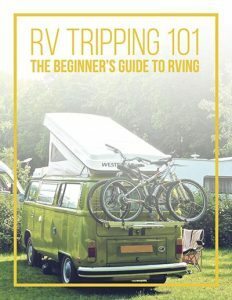 There are said to be over 500,000 Americans who live in their RV full time! If you have enjoyed this walk down memory lane you have to take a look at the Motorhome History page on the site Dodge Travcos.com. The pictures will blow you away!